"Device-centric measurement can be misleading, recording as single-visit purchases what are actually visits by the same user on another device on line. With a Cross Device Report, you can connect the data (information) needed to determine the conversion process of the user. You can track their activity from start to finish, giving you a better understanding of what your users are doing every step of the conversion and with what device. 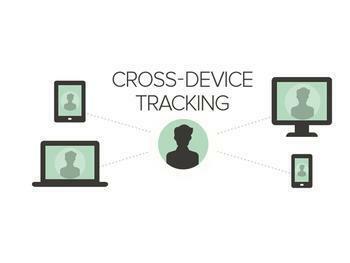 With The Cross Device report, you will be able to organize the information given on what multiple devices were used during different sessions with the users. You can then analyze all of their sessions and interactions and see how all of their activity connects. The Device Overlap report shows you how many different types of devices users engage your content with, so you can see the proportion of your user base that have one or several different kinds of devices. You can group users by the different device types they have, and then compare the engagement and conversion rates of each group. For example, you might find that the segment of users that only use Mobile convert less often than the users that use both Mobile and Desktop. This report uses a Venn diagram to visualize data, so you can quickly get an idea of what proportion of users with a User ID assigned used only one type of device and what proportion of users used a combination of different device types. The visualization is designed to give you an overview of the data; it can’t display more than three device categories at a time. To get a deeper analysis, use the data table. It might also be easier to use the table when trying to analyze a small overlapping section in the diagram or when looking for exact numbers. By default, the Desktop, Mobile, and Tablet are the device categories that appear in the diagram. Change which categories appear in the diagram using the checkboxes in the key. Learn more about the limits of User ID views, including how device categories are defined. The data table displays all device types. A sum and average of the data appears in scorecards in the top row for each column, so you can quickly see the totals for Unique Users, Revenue, and User Transaction Rate. You can add and remove data to the Venn diagram using the radio buttons associated with each row. This report supports both default and custom Segments. Each Segment appears as a separate Venn diagram and as an independent row in the data table. You can compare up to four segments at the same time. This information only applies to User ID enabled properties. The Device Paths report shows you the sequence of device categories used to engage your content. You can discover the ways users moved between devices as they engaged with your content and progressed towards conversion. You might find that a specific segment of users with a User ID assigned, engaged with your content on multiple device types before converting, while another segment only used one device type. For example, let’s say that your most valuable users might have moved between devices frequently ... while less valuable users only engaged and converted using one type of device. You could discover that Mobile interactions happen once or multiple times within a path, and you then could leverage this data to improve your mobile strategy. Use the data in the Device Path report to help you optimize the device-specific experience and ad strategy to match the engagement activity you expect users to take on that device at a certain step in the conversion process. By default, the data table in this report displays the last 5 device interactions with at least 1 transition. Click Path Options to adjust the number of interactions and transitions within the paths that are displayed. You might, for example, only want to see paths with 4 device interactions with a minimum of 3 transitions to see the set of users with a greater number of touchpoints within the conversion process. Laptops are included in the Desktop category. Any move from one desktop immediately to another desktop or laptop appear in the same step in this report. 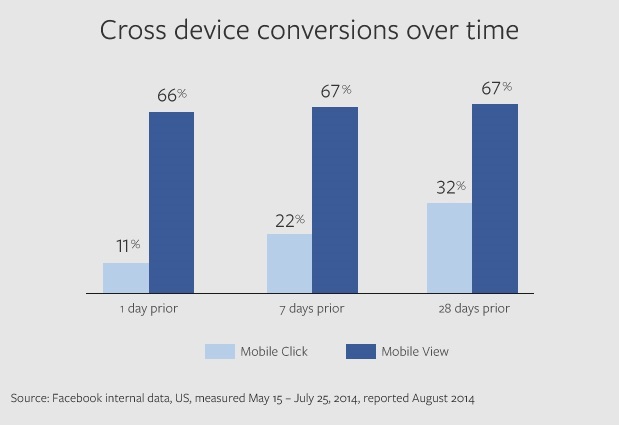 The State of Cross Device Commerce Part 2 Why Is It So Important?